In the jubilee program 75 years of freedom our Canadian liberators cannot be missed. Next year we remember that it is 75 years since the Allies liberated our country from the worst scourge ever hit us: murder, terror, intimidation, raids, persecution and deportations. Tens of thousands of soldiers who came to our aid in 1944 did not return to the country they left their own homeland. Most of the Canadien soldiers are buried in the Netherlands at the war cemeteries Holten, Groesbeek and Bergen op Zoom. 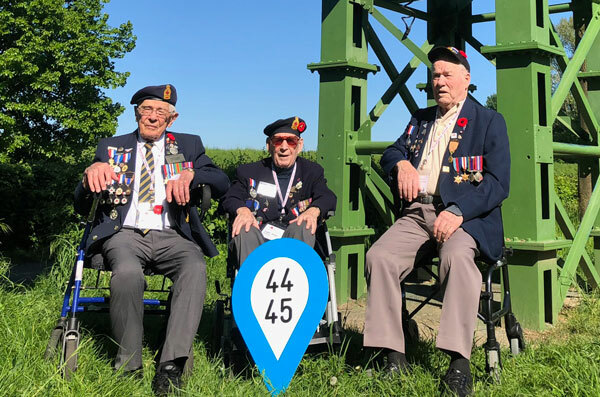 Still a small number from them, young men of just under twenty, now between 91 and 100 years old, can still retell their struggle for our freedom. It is unlikely that the WW II war heroes, to which our country owes so much, will return to the Netherlands once again as a group after this visit. In the not too distant future, only the memory of their mostly personal stories will survive and they will look back with gratitude to the homage received in the Netherlands. It is therefore of particular importance and historical significance to shake the hands of these Canadian liberators from the Second World War, 75 years after our liberation, but also to personally show our gratitude to our liberators who have brought us freedom, peace and prosperity. The heavily decorated war heroes who gave their lives in 1944-1945 for our freedom should not miss the ceremonies and ceremonies in the context of 75 years of freedom. They deserve a last grand reception on the occasion of the celebration of 75 years of Freedom.